While I’ve always said (and still stand behind it) that anyone can kitesurf, no matter if you’re super fit and toned or not, young or old: if you get from your office job, sitting all day, to a 3-week-vacation with hours of kitesurfing every day, you’ll kind of need to prepare your body for it. Surf Workouts from 1 to 45 minutes – no equipment needed! 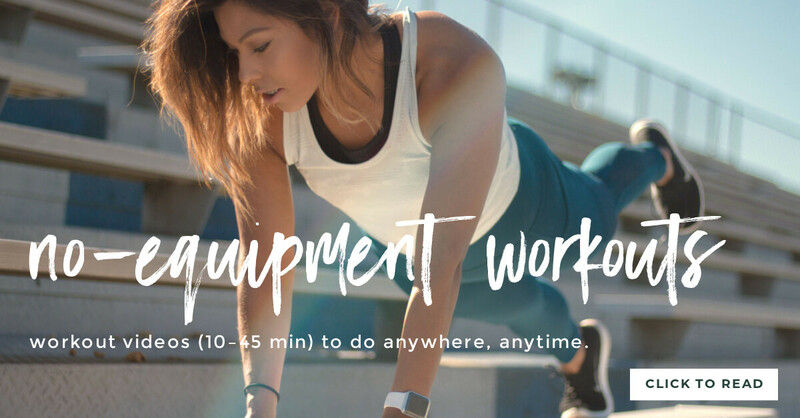 The free workouts listed beyond are categorized into the minutes they take – so no excuses, even if you have little time! You don’t even need any equipment (except a mat or yoga mat for some of them) so you can do them anywhere at home, at the beach, in the hotel, on a no wind day! Some workouts are High Intensity Training workouts which provide strength and are also a cardio workout, others help you train your strength and balance in a more calm way. These exercises will help you to get ready for all the action on the water and help you minimize your risk of injuries. Some of the workouts are kitesurf- or surf-specific and some are full-body-workouts which in my opinion also help your kitesurfing. Not all exercises are suited for everyone. Know your level and your fitness. The most important thing is: have fun! If you don’t like working out at all, choose something different, go long boarding, wake boarding, snowboarding, hiking/climbing or just go for a walk with your dog. You probably like strength training as little as I do, but the feeling, the fun and faster progress you’ll have on the water is SOOO worth it! Switch things up! Do a 45 minute yoga workout one day, and maybe only a 7 minute workout on the next! Just try out all the workouts that are in here and mix them through as you like! If you have a free video workout for kitesurfers you love, leave me a link in the comment! Choose one of the workouts if you just have a minute or do the whole playlist if you have more time! Filmed at Venice Beach so the scenery already gets those holiday vibes going ? If you’re this kind of person who just needs to be reminded by an app to train 7 minutes daily, this is your thing! The basic version of the app is free, you can choose your trainer voice (pretty funny ones hehe) and if you want special workouts you’ll pay for them. Nothing super fancy, simple moves, ideal for beginners! Get the app here. This workout seriously saved me from the lower back pain I used to have when kiting with bigger kites. A life saver! Nothing super exhausting but the weird/different kind of movements strengthen your back muscles in a completely new way if you do it right! Nice full body workout with good music. It’s recommended to do this workout for 5 rounds (30 sec per exercise, 10 sec in-between the exercises). Each round will take you around 4 minutes (10 sec breaks included), so if you do 5 full rounds you’ll have a 20 minute workout. The workout starts at minute 3:19, beforehand all exercises are explained. The workout includes different kinds of lunges, squats, twisted planks and – a really hard move – the Duck-dive Caterpillar! Simply love the way Briohny Smith is leading you through a practice! This is a pretty strengthening yoga class so if you’re in for some toning, try it! One of my favorites to „power out“ and do some high intensity training. Cardio-focused full body workout, which will get your blood pumping and also has some sculpting exercises in-between. Filmed in Costa Rica with the wind whistling through, this power yoga class is for intermediate and advanced yogis. > Your sixpack is ready and now you need something nice to wear it with? Check out the post on the best surf bikinis for girls who shred. > Still fighting the post-kite-holiday blues? 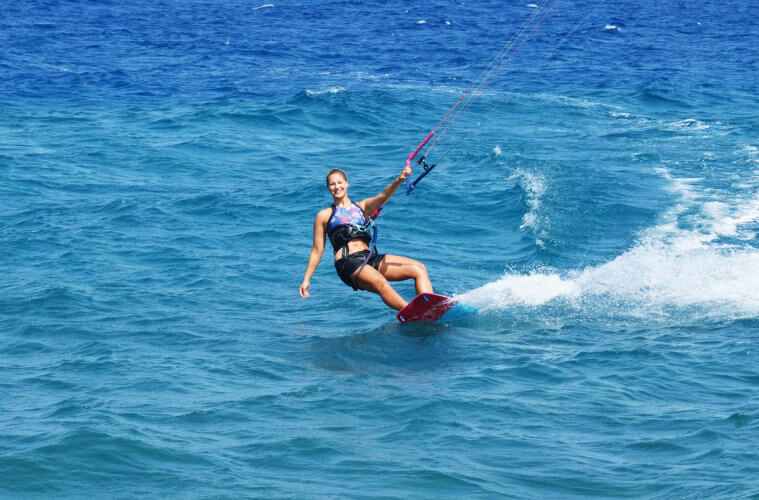 Wondering how to survive the time back home until your next kitesurf holiday? Check out this fun guide on how to beat the post-holiday-blues. 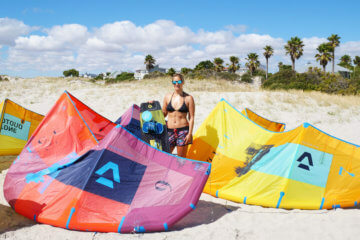 > Do you need more spot inspiration for your future kite adventures? 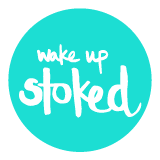 Check out all the other spot guides or the post on the ultimate kitesurf adventures. skiing?✌️… honestly I am really bad at working out. anyway at home I use a pilates roll and a sling trainer aka trx band to train my core. but more important is that my next kitesurf adventure is in sight and I am trying to catch some “frische Luft” every day by walking or running. cant wait to see you soon, I am exploding just by the thought of 4 weeks together on a windy beach! Oh yees, haha forgot skiing 😉 Pilates roll and TRX Band are great as well!